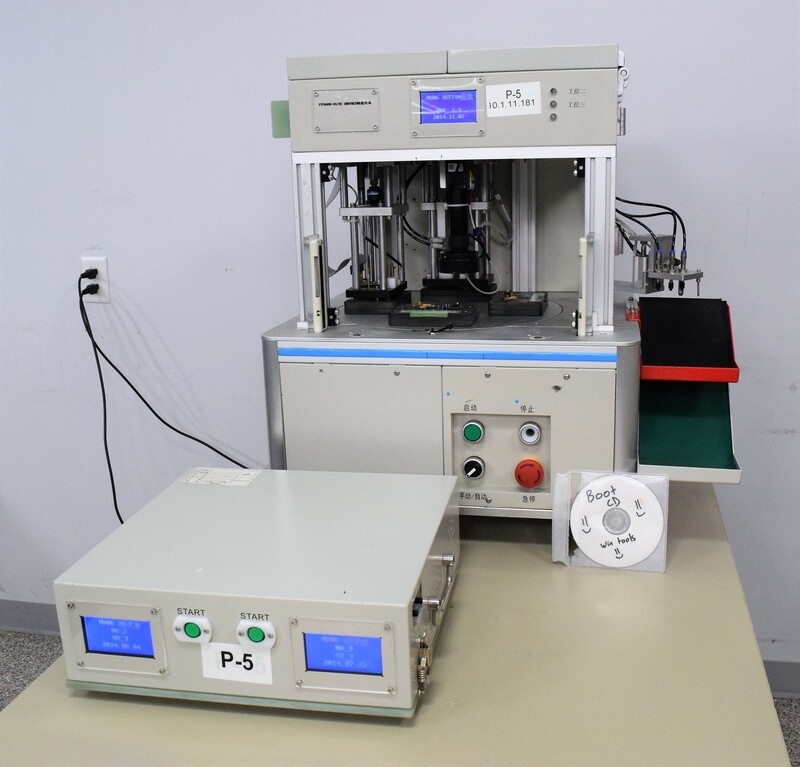 Yanmade Four-Station Turntable Test System Semi-Automatic Test Equipment Circuit . New Life Scientific, Inc.
- Functionally, no testing was done other than powering it on. The system is in good cosmetic condition with some wear. This system was partially tested as far as powering it on and the robotic arm does work. There is a CCD camera that works and the red laser light can be adjusted from the top access panel. Our in-house technicians did a visual inspection of the equipment and initialized it. The camera, robotic arm and the two hand lock-outs work. No further testing was done. Although this instrument is untested, it is still protected by our 90-Day warranty. Manufacturing dates vary between July 07, 2014 - November 07, 2014.